Vinca major in the garden can be planted as a shady area groundcover or as a spiller in containers. 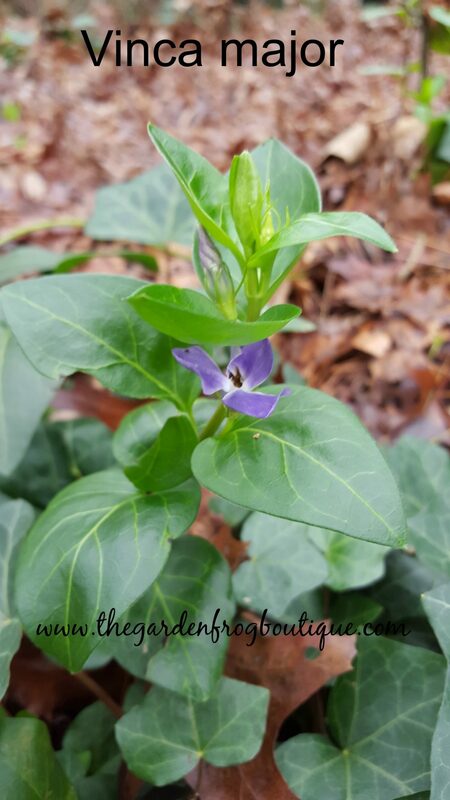 Vinca is an evergreen perennial in zones 7-9 with some die back if the winter temps dip below 10 degrees. Vinca major is also known as large (greater) periwinkle and can become invasive. 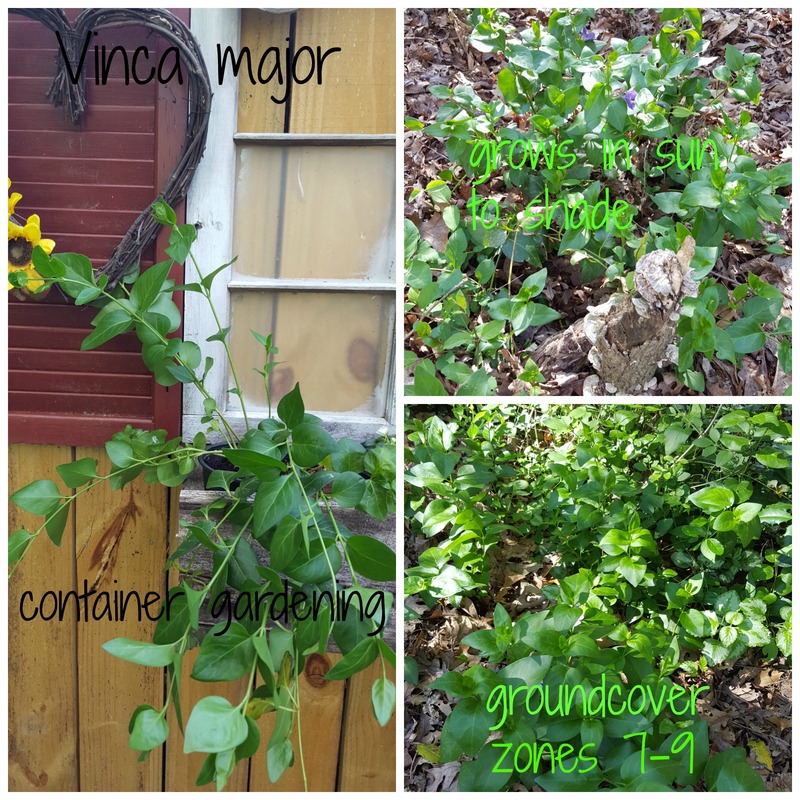 Vinca major will tolerate a range of soil conditions and will grow like wildfire in part sun/shade areas. Bloom time starts here in zone 7 at end of March to early April and continues on for about a month. It is not grown for the flowers but for the trailing glossy green leaves. Vinca major is sold in most big box garden centers as a spiller/trailing plant for container gardening. 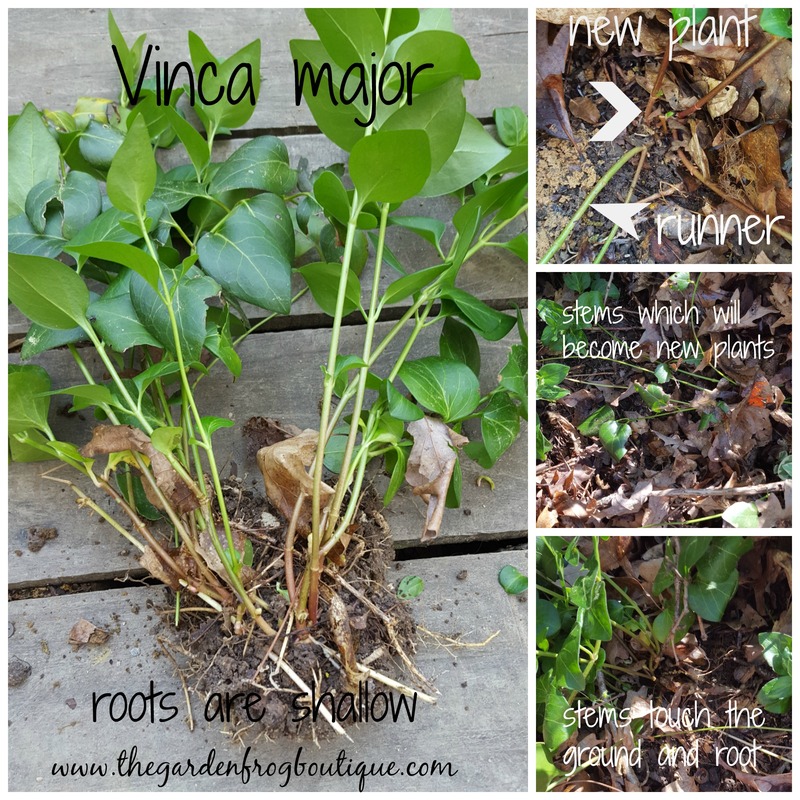 Just keep the Vinca trimmed as it spills out the container to keep it looking good or it can get leggy as it tries to escape the pot. You can overwinter Vinca in a garage, room, or greenhouse that will not get below 10-20 degrees at night. You can leave in the pot and just water once a week to keep the plant alive. For many of you in colder climates, the Vinca major will survive in your container gardening well into fall until temps dip below freezing. This zone 7-9 evergreen perennial survives down to 0 degrees with some die back so in lower zones overwintering in a garage is an option. Vinca major will grow in some poor conditions once it is established and that is why I keep pointing out its invasive tendencies. Just like its sister Variegated Vinca, this perennial will root where any stem touches on top of the soil. Once established this is a very hardy plant that will have to be contained or it will choke any other plants in its path. 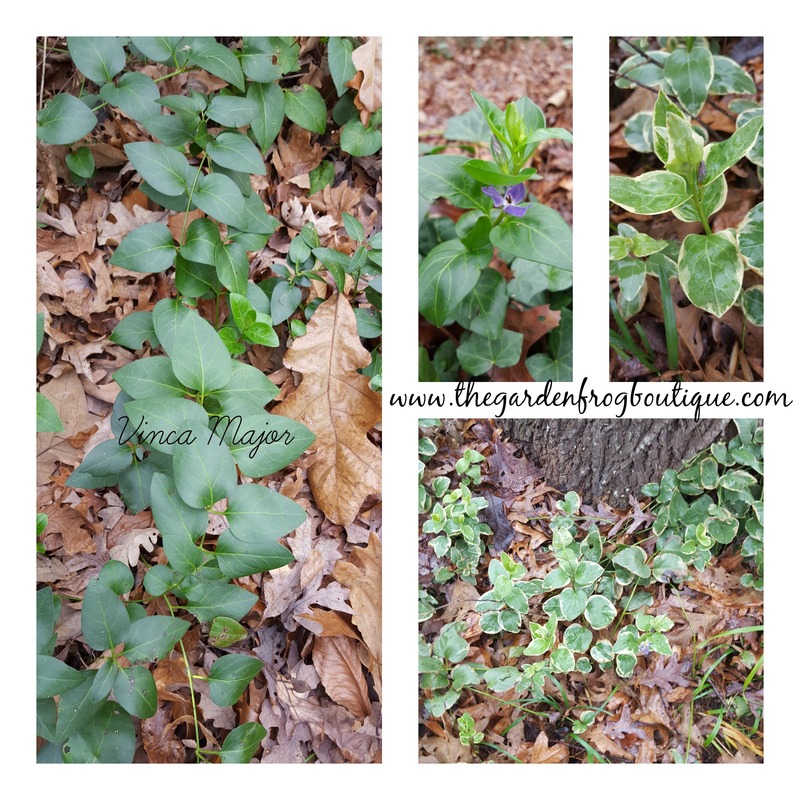 I have been battling it for 7 years in a wooded area that it does not belong- so please do not plant in any wooded or native areas where Vinca major can choke out and kill native species. Thanks for stopping by and if you ever have a question, feel free to contact me.